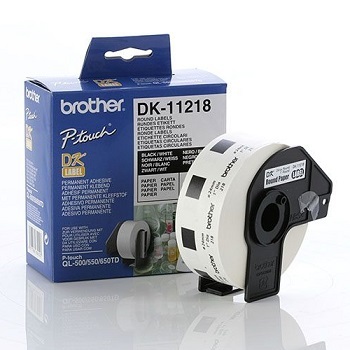 Brother DK Labels are self-adhesive and are supplied either as die-cut (pre-sized) or for those user who wants more flexibility on label size the continuous label tapes offer the ability to vary the label length from the page set up in the software. 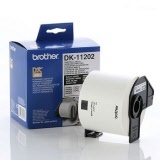 DK labels and continuous tapes are suitable for the Brother QL range of label printers. Self-adhesive White Paper Standard Address Labels for use with Brother's range of QL printers. 1 x Roll of Standard Address Labels. 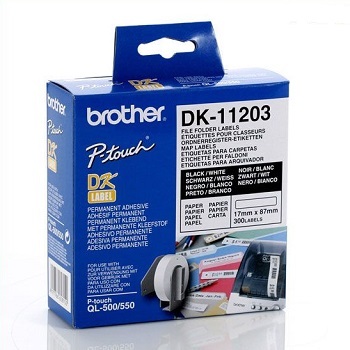 Self-adhesive White Paper Shipping Labels for use with Brother's range of QL printers. 1 x Roll of Shipping Labels. 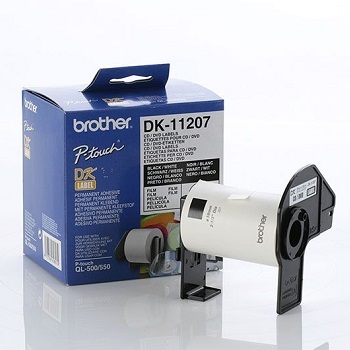 Self-adhesive White Paper File Folder Labels for use with Brother's range of QL printers. 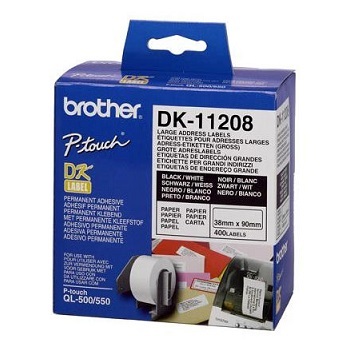 1 x Roll of File Folder Labels. Self-adhesive White Paper Multi-Purpose Labels for use with Brother's range of QL printers. 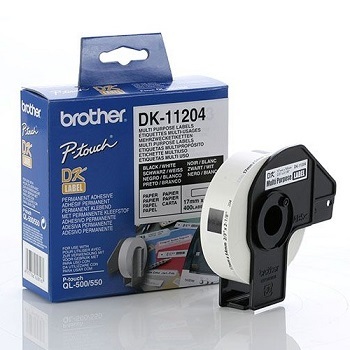 1 x Roll of Multi-Purpose Labels. Self-adhesive White Paper CD/DVD Labels for use with Brother's range of QL printers. 1 x Roll of CD/DVD Labels. 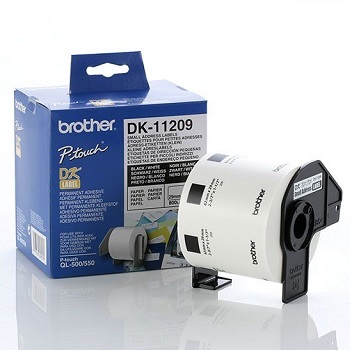 Self-adhesive White Paper Large Address Labels for use with Brother's range of QL printers. 1 x Roll of Large Address Labels. Self-adhesive White Paper Small Address Labels for use with Brother's range of QL printers. 1 x Roll of Small Address Labels. Self-adhesive White Paper 24 mm Round Labels for use with Brother's range of QL printers. 1 x Roll of 24 mm Round Labels. Self-adhesive White Paper 23 mm Square Labels for use with Brother's range of QL printers. 1 x Roll of Small Square Labels. Self-adhesive 62 mm Continuous Length Tape for use with Brother's range of QL printers. 1 x Roll of Continuous Length Tape. Self-adhesive 29 mm Continuous Length Tape for use with Brother's range of QL printers. Self-adhesive 12 mm Continuous Length Tape for use with Brother's range of QL printers.